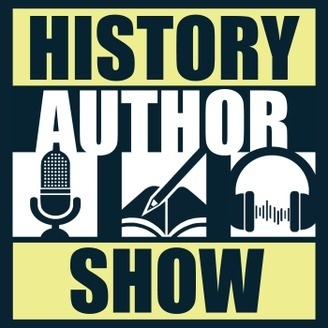 Listen to my interview on the History Author Show discussing how and why I wrote The Drum of Destiny. Q: Was Gabriel Cooper a real person in history? A: No, but there were boys like Gabriel who left their homes and farms to join the Militia fighting the British. Many were fifers and drummers. Q: Why did you choose write about the American Revolution? A: This war and the people in it changed the entire course of human history by fighting for their beliefs, and I wanted to explain in a story, what it was about these men that caused them to take on the British Empire, the most powerful nation in the world. Q: Who is your favorite person from the American Revolution? A: I have a couple of favorites. First, of course, is George Washington. I am continually amazed at how he was able to keep the ragtag Continental Army together, and how he never gave up. Second is Henry Knox. He had big ideas and then found a way to make his ideas reality. Q: Do you have plans for more Gabriel Cooper books? A: Yes, Gabriel Cooper has many more adventures ahead of him, including making his way to Fort Ticonderoga with Henry Knox to retrieve the fort’s cannon. Q: How did you come up with the idea for Gabriel Cooper? A: I had been listening to hours and hours of non-fiction books about the American Revolution, and wanted my sons to learn more about this rich history. I started telling them bedtime stories about a boy named Gabriel Cooper. They liked them, and so I decided to share them with everyone in a book. Q: What are some of your favorite authors that influenced your writing. A: I have read and re-read David McCullough’s books 1776 and John Adams. There are too many influential non-fiction books on the Revolution to name. In fiction writing, my favorite authors are Bernard Cornwell, who writes historical fiction about 10th century England, Gary Paulsen who writes wilderness survival stories, and Orson Scott Card, who is one of the masters of science fiction.